Ever had doritos used as croutons on spaghetti? What about a waffle topped with tuna? A variety of people have come to make their home on this small island of Taiwan, and it shows in the food. 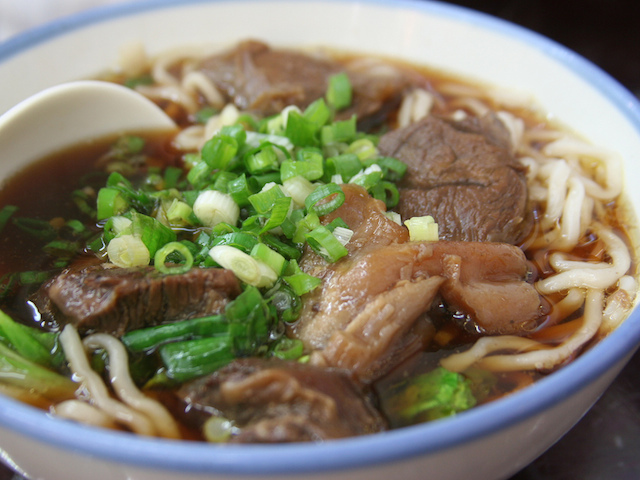 Taiwanese cuisine is a marriage of Hakka (people from the Fujian and Guangdong provinces of China), Hoklo (people from the Fujian province of China) and aboriginal Taiwanese cuisine mixed in with Japanese and Western influences. Take advantage of this local guide to Taipei’s top foods and make sure you try the unique fare while taking in the sights of Taiwan. This dark savory soup is packed with thick flour noodles and chunks of beef. Leafy green vegetables take care of your roughage portion and green onions add a dash of color. Some restaurants will serve tendon or stomach in the soup as well. The dish can be a bit spicy depending on the cook, and it’s always served piping hot, so slurp your noodles with care. 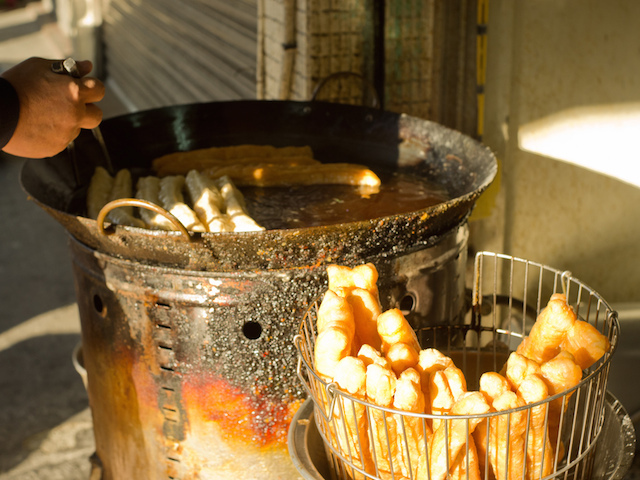 This is a staple food among Taiwanese people and can be found in a variety of bars, street vendors and restaurants. 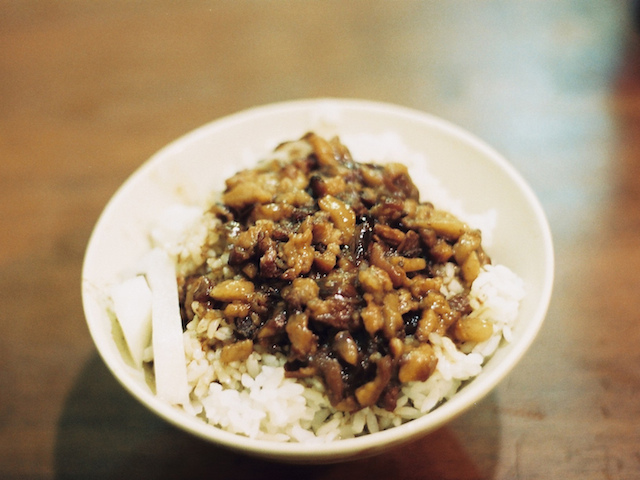 A bowl of white rice is covered in minced pork, which has been boiled in soy sauce. Salty and savory, this common dish makes an excellent meal or snack. Originally from Fuzhou, the Taiwanese turned this dish into a kind of Asian hamburger of their own. 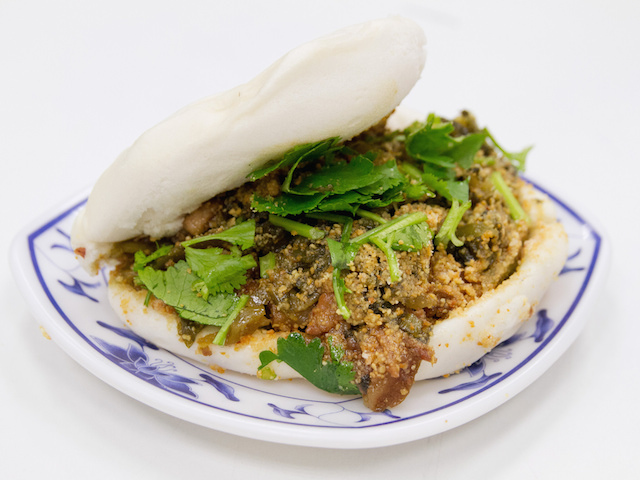 Steamed, cloud-like bread is filled with tender braised pork belly and topped off with cilantro, crushed peanuts and pickled mustard greens. Blending sweet and salty, the Gua Bao will give you the boost you need while walking the streets of Taipei. 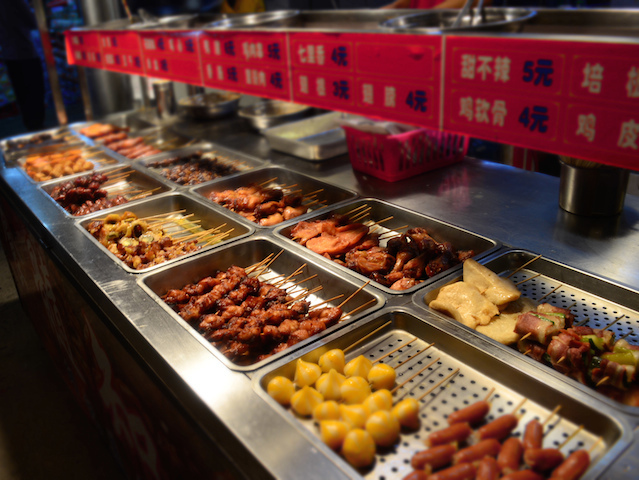 Not to be found in restaurants or home-cooked meals, the streets of Taipei–in particular night markets–are littered with stands selling these delights. Similar to candied apples, Tang Hu Lu (糖葫蘆) takes a variety of fruits (strawberry is the most popular) and dips it into red liquid sugar that hardens. If that doesn’t satisfy your sweet tooth, then try Dou Hua (豆花): tofu pudding mixed with jelly, sweet beans and sweet rice balls, swimming in sugar water and ice. On the savory side, try oyster omelets (蚵仔煎) topped with a spicy sauce and stinky tofu (臭豆腐). The former is a flat, plate-sized omelet made from a mixture of egg, oysters, potato starch and pork oil. The latter is deep fried fermented tofu that has rightfully earned its name. Though it can be smelled from miles away, the taste is actually quite mild, and you’d be hard pressed to find a local resident who doesn’t enjoy it. 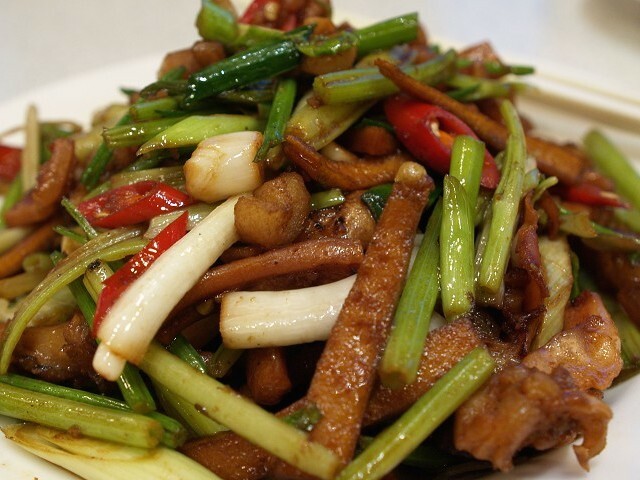 This spicy Hakka-style dish consists of strips of pork and cuttlefish stir fried with green onions, celery and red pepper. Served with white rice, this traditional dish is best enjoyed on an empty stomach with a good companion. 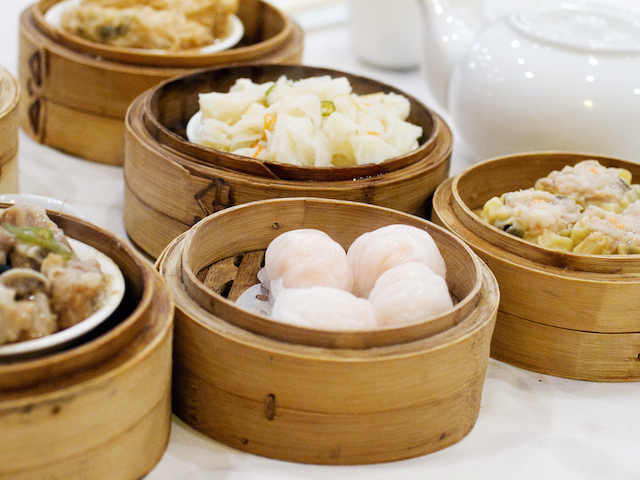 Dim sum originated in southern China among the Cantonese, but like many other foods, the Taiwanese adopted it as their own. The equivalent of Asian tapas, dim sum delicacies and the traditional tea service that goes along with it can vary in taste, style and price. Tender-skinned dumplings concealing plump shrimp within a bamboo steam basket sit alongside fried pork potstickers dripping with juice. Sweet or savory, meat or vegetable, fried or steamed, there’s something for everyone. 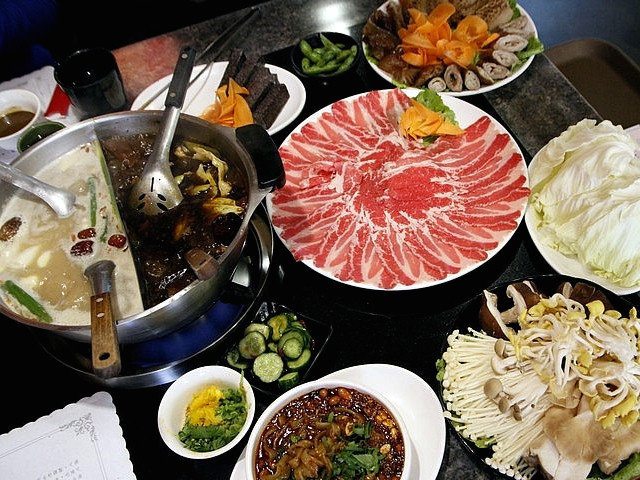 A do-it-yourself style meal, a spicy soup pot is placed in the center of the table atop a gas burner, and you’re provided with a variety of raw ingredients including vegetables, noodles, pork, beef, chicken and seafood to boil yourself. Although some restaurants will serve a non-spicy broth as an option, be prepared for a runny nose. Give yourself at least an hour and bring along some company. Legend goes that people during the Song dynasty fried the Chinese doughtnut to show their hatred for a conspirator who caused Yue Fei (岳飛), a favored general, to be beheaded. There’s probably not a lot of stock in the story, and many Taiwanese folk are too busy enjoying this great snack to know what you’re talking about. These long fried breadsticks are crispy, light and airy and are best enjoyed when dipped in some freshly squeezed soy milk. 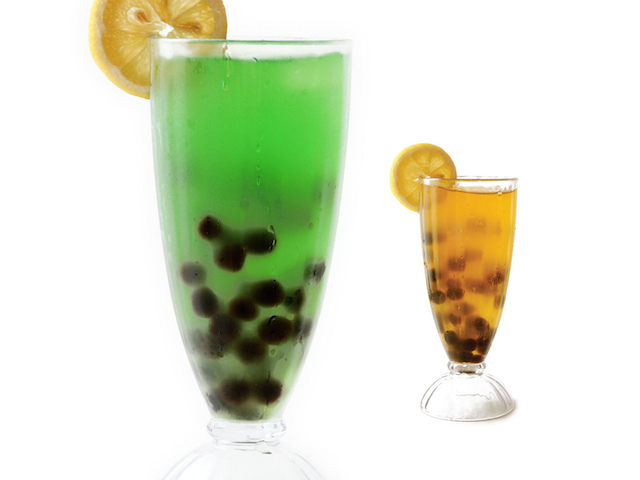 Boba are little black pearls made of Tapioca, typically used in tea and dessert beverages. Boba tea was invented during the 1980s in Taiwan, and several tea shops claim to be the original, including Chun Shui Tang (春水堂). Small and large boba can be added to any assortment of teas, as well as a variety of jellies, puddings and beans if your beverage isn’t chewy enough. The variety is only limited by your imagination and the extent of your thirst. A welcome dessert in a tropical climate, Bao Bing is a bowl full of crushed ice topped with fruit, sugar syrup and condensed milk. 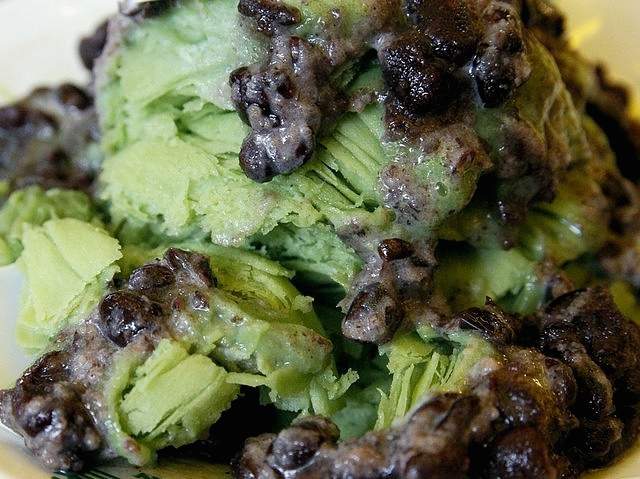 Xue Hua Bing is similar, but the ice is flavored and comes in shaved layers. A variety of ice creams, jellies and beans are also available as toppings. The servings are huge, and unless you are on an empty stomach, sharing is highly encouraged.